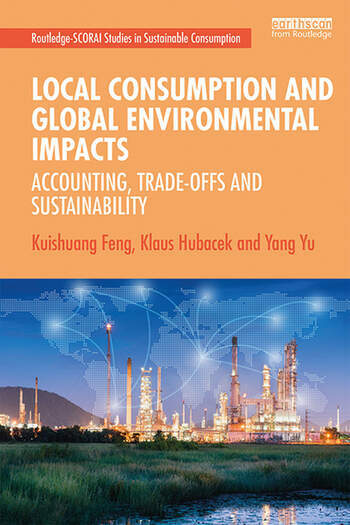 This book describes how local consumption, particularly in urban areas, is increasingly met by global supply chains. These supply chains often extend over large geographical distances and have greater global environmental impacts, contributing to pollution, climate change, water scarcity and deforestation. As consumption is increasingly met by globalised supply chains, causing social, economic and environmental impacts elsewhere, consumption decisions can unknowingly contribute and reinforce global inequality and exploitation. To account for the impacts of consumption and distribution of wealth we need to analyse global supply and value chains. In this volume, the authors provide an overview of key methods of analysis, including Multi-Regional Input-Output analysis and Life Cycle Assessment. Subsequent chapters connect local consumption to the global consequences of different environmental issues, such as water and land use and stress, greenhouse gases emissions, and other forms of air pollution. Each issue is addressed in an individual chapter, including case studies from China, US and UK. The book will be key reading for students taking courses in environmental sciences, sustainability sciences, ecological economies and geography.